Hello! If you are a new user reading this, "Welcome to Anime-Planet \(*≧∀≦*)/". If you are a returning user/visitor, I just say "Hi!". If you are having any questions about the site, feel free to ask me anything or check out the Feature Requests, Bug Reporting, and Site Question forum threads. Hello there! My name is Mayline (pronounced like Meiling). I love almost anything involving strawberries and shoujo with magical and/or hard-working, determined girls. 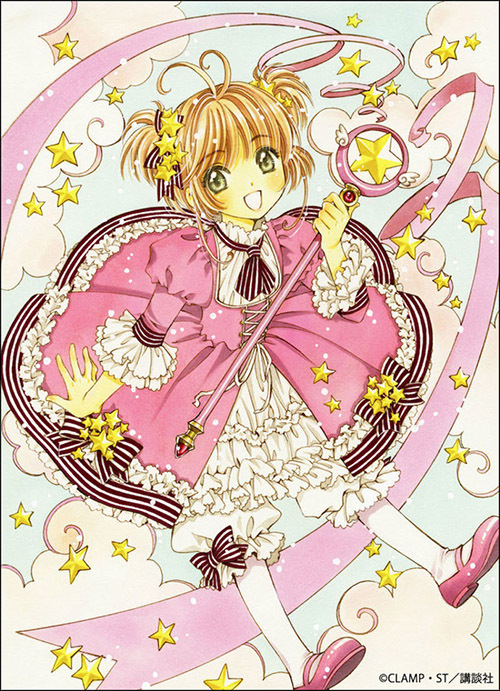 My favorite shoujo series include Cardcaptor Sakura, Gekkan Shoujo Nozaki-kun, Kimi ni Todoke, Ouran High School Host Club, Sailor Moon, Special A, and Tonari no Kaibutsu-kun. I especially love the tokidoki character, Stellina the Unicorno! Every now and then, I enjoy making paper stars. I also love to play video games, mainly role-playing (e.g. The Legend of Zelda, Kingdom Hearts, Okami, and Odin Sphere)! At the present time, I've been obsessed with Animal Crossing: New Leaf - Welcome amiibo since July 2017. The absolute favorite thing in the world to me however is being helpful to others, but also to myself first and foremost! I am part of the new Anime-Planet Welcoming Committee, or WECO for short, formed by FullmetalDragon, Rntt89, and FriendlyDemon. We welcome new members of Anime-Planet every day in the hopes of giving a good start to the site. If you would like to join and/or learn more details, click the banner above or this link here! Kaichou wa Maid-sama! Marriage online?